Secure, purpose-built indoor and outdoor dog parks for dogs to enjoy off-lead play and socialisation. Dog day care and overnight boarding (please check with your preferred Action Petz centre for availability). We offer a variety of training classes, and behavioural consultations for puppies and adult dogs. In addition to our core services we also offer: dog grooming, fun events all year round, pet stores, a canteen for our members and more! Is the rain too much? Worried about your dog running off? Unlimited dog play park park visits. Cashback voucher scheme for training classes (excludes workshops and 1:1 training). 10% off Jewell Pet Food. Unlimited dog play park visits during off-peak times. Opening Times: Monday to Friday (8 AM – 6 PM), Saturday, Sunday and Bank Holidays 10 AM – 4 PM. Prices: prices start from £17.50 for a full, 10-hour day. We provide discounts for additional dogs living in the same household. Please contact your preferred centre for pricing. Please note: Dogs must be registered and assessed before joining our Day Care, vaccination records must be seen by our staff to ensure annual boosters are up to date. Upon successful completion of your dog’s written assessment, you are required to book your dog for a trial day for a duration of up to 5 hours. Bookings and enquiries: Please ring your preferred centre. Click here to know what to expect! 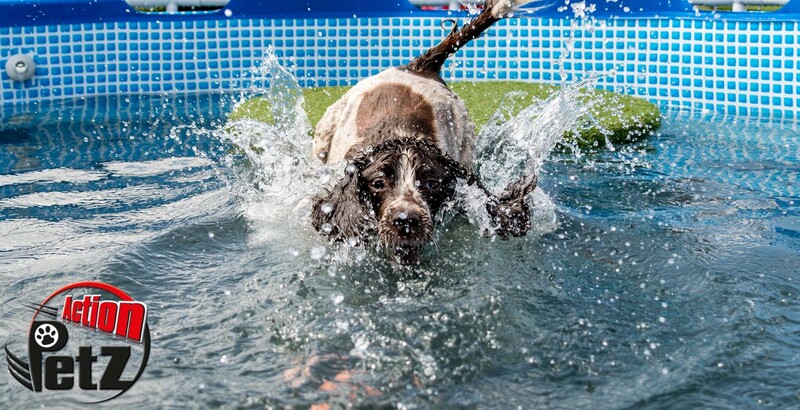 At Action Petz we are passionate about supporting the fantastic work of animal rescue charities and there will always be a focus on rehabilitating and helping dogs without permanent homes, therefore our centres are completely free for dogs living in rescue centres or foster placements. For safety reasons, we please ask foster parents and rescues to spend a minimum of six (6) weeks with the dog(s) before using our facilities.